Invites literary and theater studio "Planet"! The Children's Literary and Theater Studio “Planet” in the Central City Hospital Belinsky invites children on the first and third Sunday to 10.00 to classes that will reveal their creative potential. Central City Hospital named after V.G. Belinsky invites creatively gifted readers to take part in the annual literary contest of spiritual and philosophical, civic poetry and prose "MAN, FATE, EPOCH"
«Computer literacy campaign» for all! The BTF them. VG Belinsky and branch libraries CBS Shevchenko district work free computer courses for seniors' computer literacy campaign. " All are invited. Information site BTF them. VG Belinsky CBS Shevchenko district of Kharkiv city welcomes you. The purpose of the Internet - a resource - to acquaint the inhabitants of the city, as well as all those interested in with the work of public libraries in Kharkov. On the site you will learn about the work of the Central City Library and its branches, gather a lot of useful and interesting information about the literary life of the city, book updates. To provide timely information you can use the virtual reference service. CCH name VG Belinsky is working closely with the International Programme "Bіblіomіst . " In 2010, our CLS became the winner of the "Bіblіomіst" "Organization new library services with free access to the Internet ", all the libraries are equipped with new computer equipment, Internet access free of charge! In 2011, the 200th anniversary of VG Belinsky BTF holds "Urban annual literary competition spiritual and philosophical and civic poetry (prose)" Man, the fate of the era ... "named after VG Belinsky." Since 2012, becoming an international contest. In 2013, the nominations for "Poetry" and "Prose" added the nomination "My City" (on the 70th anniversary of the liberation of Kharkov). Since 2016 the site has presented the Corporate electronic catalog of the Public Libraries of Kharkov "PubLibNet". At your service information resources of the Internet, prepared by our employees: electronic libraries, Internet periodicals. Come on, look, read, study, use of our resources! Site pages are constantly changing, there are new features and services that make easier work of library staff and increases the level of visitor services. With a great success there was a presentation of an exhibition of a talented Kharkiv’s painter Natalia Alimova “Philosophy of an age” held in Belinskiy central city library on the 22nd of June, 2017. A specialty of the contemporary stage of development of the society is an impetuous increase of the flow of information, improvement of the information technologies and computer techniques. 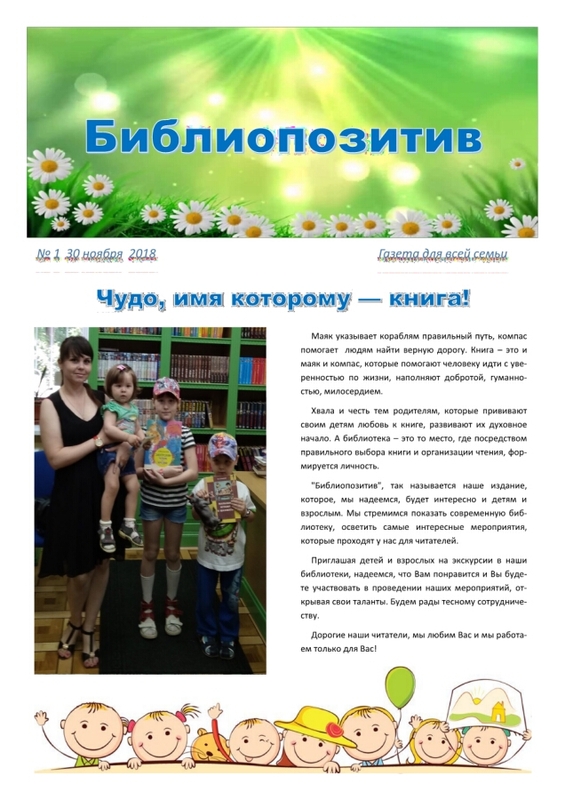 On our website poyavylsya resource kotorыy pomozhet find blyzhayshuyu libraries for you, to know, How Neagh with svyazatsya and take advantage of EE services. Let us blyzhe in the digital and real myre!